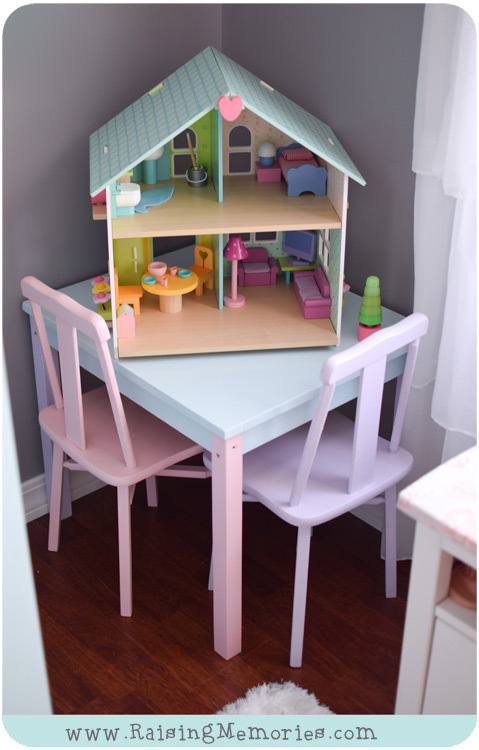 Pastel Pink, Purple, and Turquoise Toddler Bedroom with House Bed! A couple of years ago I shared my niece's pink and gray nursery with you. 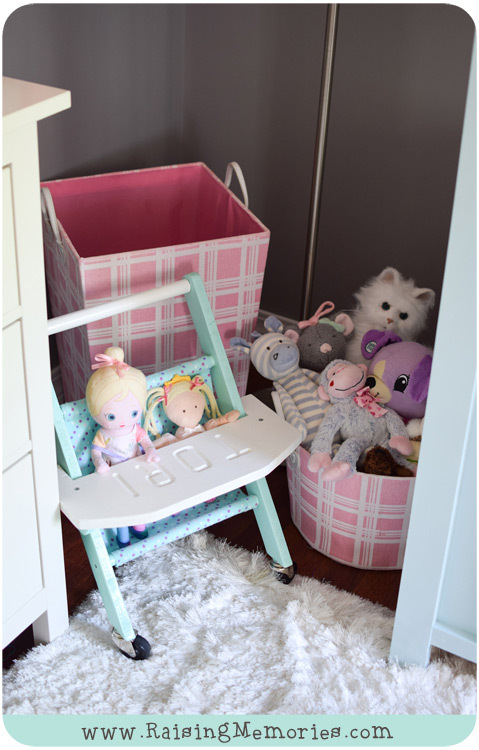 Since then, my brother-in-law built the coolest toddler bed for her and her nursery transformed into a pastel pink, lilac, and turquoise toddler girl's room! My sister is expecting their second baby now so this bedroom will become a nursery once again. 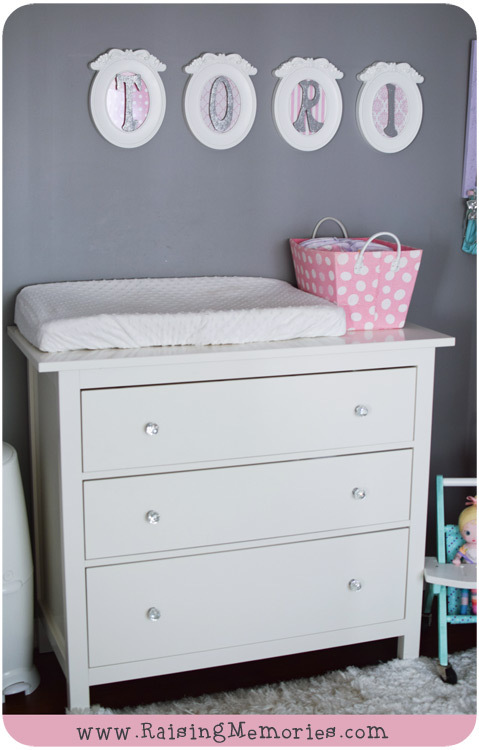 I went over to her house to document Tori's toddler room before that happened and because there are so many cute DIY projects and inspirational ideas within this room, I knew I would want to share it with you along with a bit about how she created some of the pieces in the room (or where she found them). 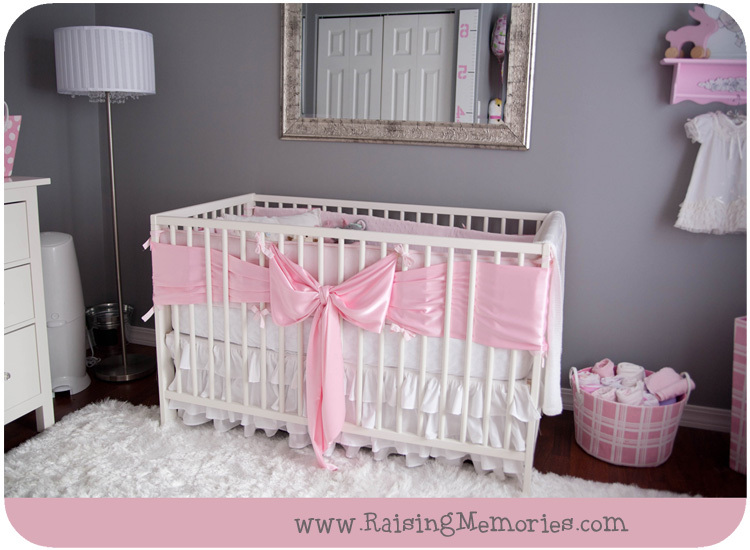 I hope you enjoyed checking out her cute bedroom! What a beautiful room, I LOVE that house bed!!! My daughter is turning 2 this week so we will be moving her out of her crib shortly. I might just get hubby to build a bed like that too! Thank you! Me too :) Wouldn't it be so fun?! I love the bed but the hair accessory thing has my creative brain working overtime. Maybe I could update that slightly for a teen or a tween. My girls have so many hair things!!! Also this reminds me that I still want to do a bench type thing for one of them. haha :) I know, I am always spinning my wheels over what would be the best way to store & organize all of the hair things in our house!! 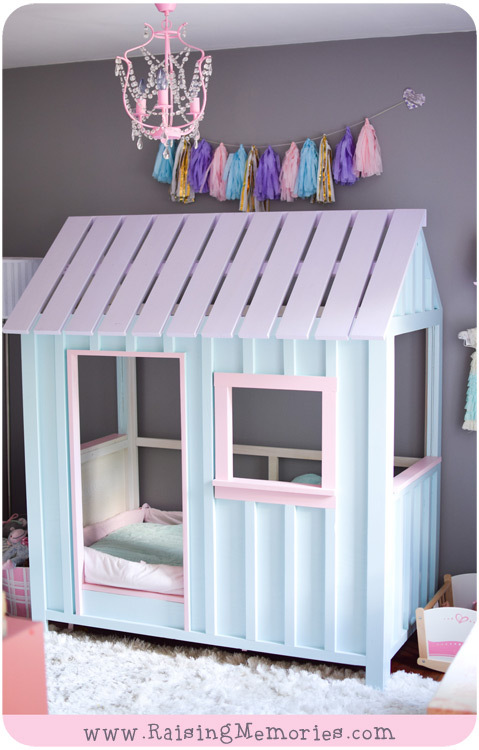 My daughter would LOVE the house bed! It's beautiful. 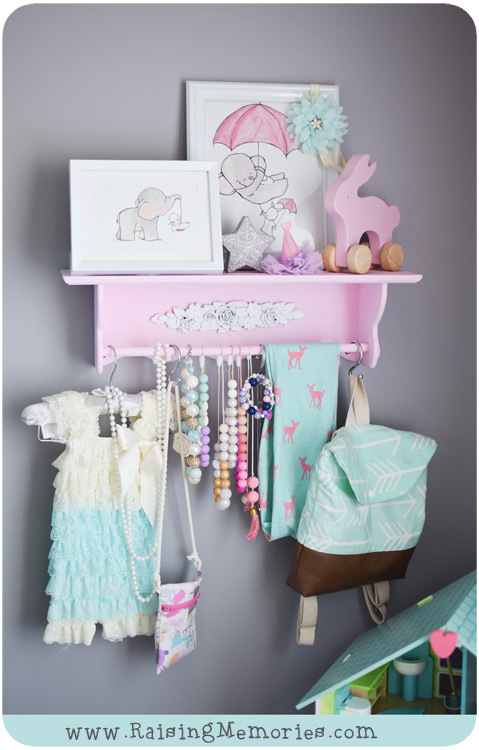 I am so partial to all the pastels after three boys all I want to see is pink!! I am absolutely BLOWN away by your sister's kids' room. How inspiring! 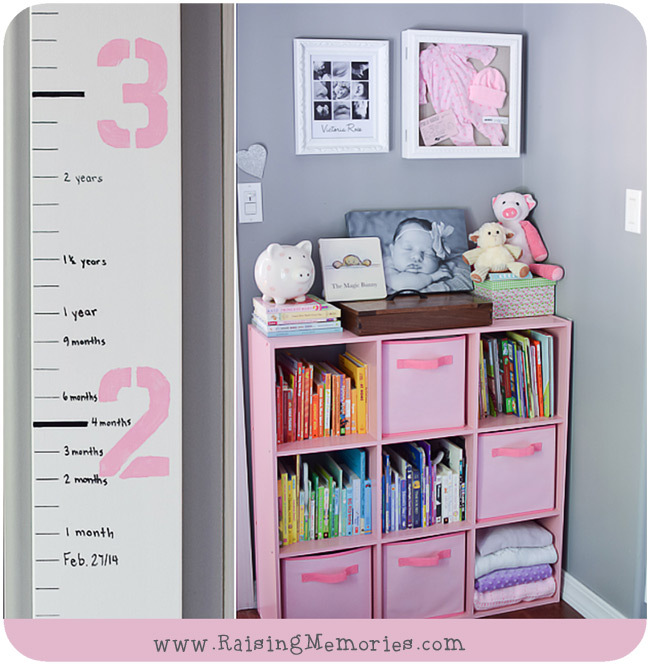 Especially blown away by the bed - WOW - and that awesome height chart, and that adorable shelf!!! They've got some style!! Thanks Debbie! I know, she does such a great job! & her hubby is amazing at building the things she comes up with! The room looks so cute. The shelf and the house are so fun. 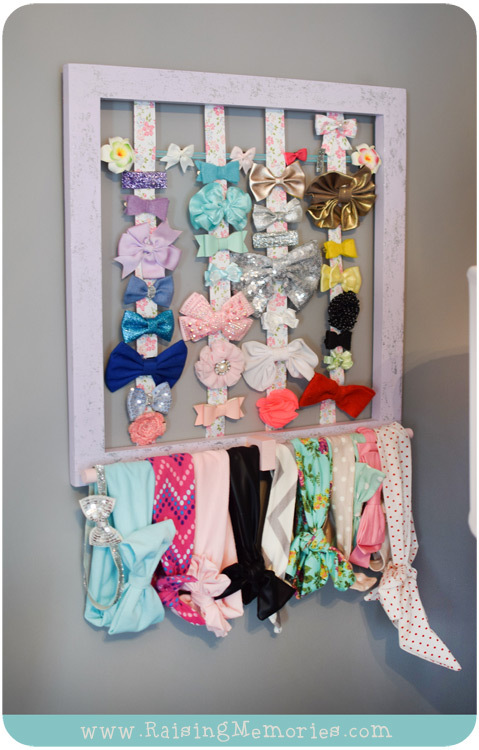 I think any little girl would love it. Thanks Eliza! I think so too- I would've LOVED that bed when I was little! This room is absolutely beautiful. Although I love everything my favorite is the house bed. 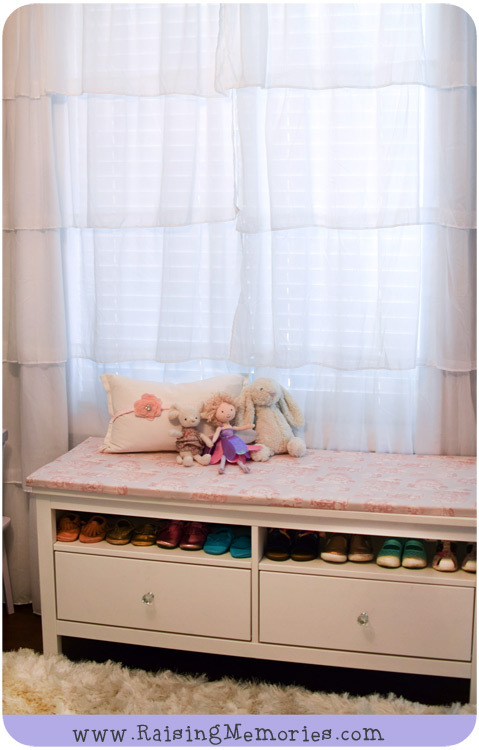 That is a beautiful room, one a little girl is going to dream happy dreams in. OMG,I just LOVE that house bed,beautiful room ! Back to School Clothes Haul & a Contest!